​and treat yourself to something really special -- you deserve it! ​Engraving a SINGLE INITIAL, LARGE CENTER INITIAL, MONOGRAM or NAME on any barrel beaker is an additional charge of $15 per item engraved. If you would like engraving on two sides of the beaker, the cost is $15 per side or $30 total. If you are interested in having a logo engraved on the beaker, we will need to see the artwork (eps or pdf file) to give you an accurate quote. You must complete your purchase before we can proceed with the engraving and when you select an item, you will see a contact form beneath the item you have selected. 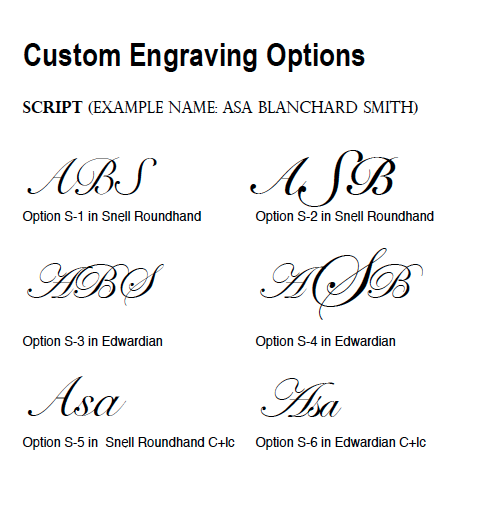 Please give us specific instructions regarding engraving -- i.e., give name or initials, style and font on this comment form. 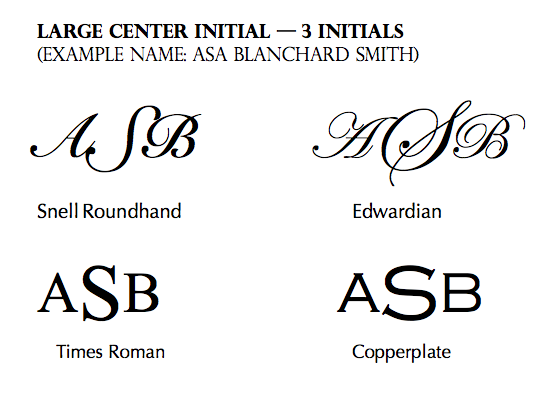 SINGLE INITIAL STYLE is when the first initial of the last name is engraved. Specify Script or Block. 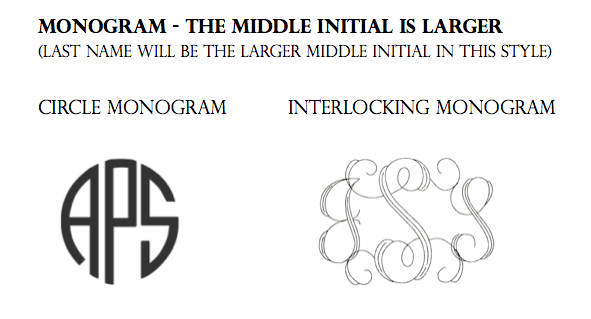 MONOGRAM STYLES (limited to 3 initials) is when the first initial of the last name is engraved larger and in the center of the monogram. The first name initial is engraved to the left of the last name initial and the middle name initial is engraved to the right of the last name initial. 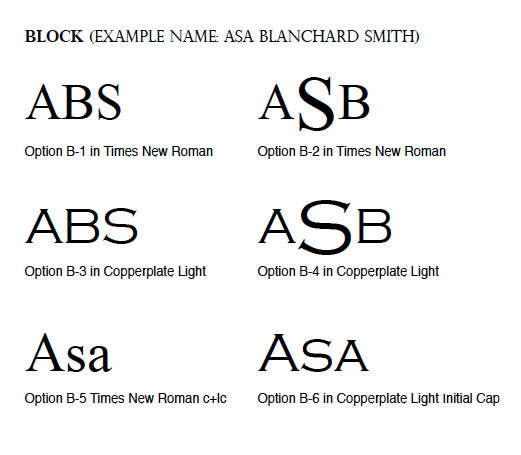 Interlocking Monogram and Circle Monogram fonts can only be used for this option. 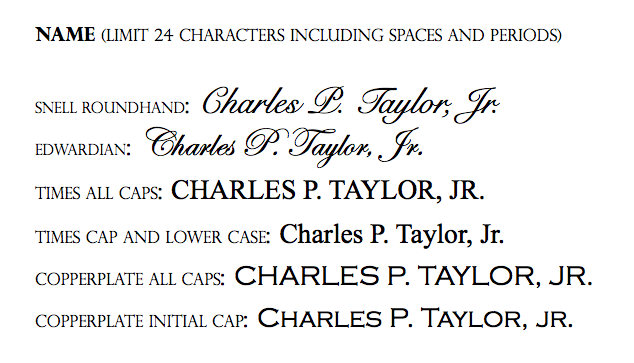 NAME (limited to 24 characters including periods and spaces) will be engraved in capital and lower case letters in Script - OR - all capital or capital and lower case letters in Block. Please specify desired style, name and whether all capitals, capital and lower case or initial cap.